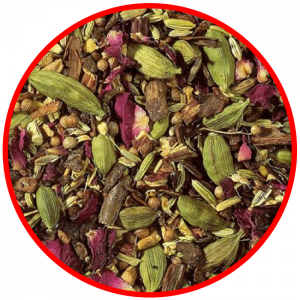 Drink this beautiful Tisane and let it begin a journey through your body. It will help bring your spirit and soul into harmony. Let the surprisingly refreshing effect of all these natural colours from herbs and spices do their deed. There truly is every colour of the rainbow in this blend, the energy is magical. If you feel out of balance, or frazzled when you get home from work, or had a stressy time with the children or want to just get more in tune with your body then this lovely tisane is the one for you. Also good to drink before and after Meditation or Yoga. Chakra is Sanskrit for Wheel. From the root to the crown, the energy is flowing and this tisane resonates with all the Chakras. A light refreshing, happy tisane that’s good for your well-being. Do not add yukky milk as it has such a light and delicate liquor it will spoil it. Can be drunk at any time of the day. 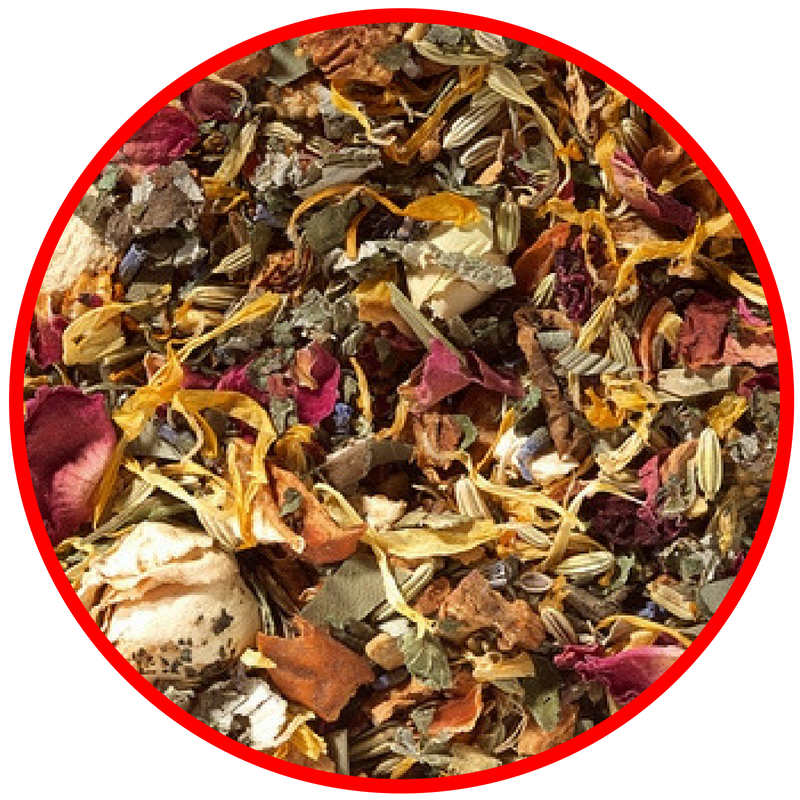 Apple pieces, fennel, bamboo leaves, ginger pieces, orange peel, carrot flakes, cinnamon pieces, blackberry leaves, eucalpytus leaves, black pepper, rose petals, white rosebuds, basil, raspberry leaves, lavender, marigold blossoms, beetroot.